One of my previous jobs was at Onionmap as the Director of Engineering. Titles mean crap. I don’t even know what it means to be a “director”. A more accurate job title would have been “systems architect”… but whatever. 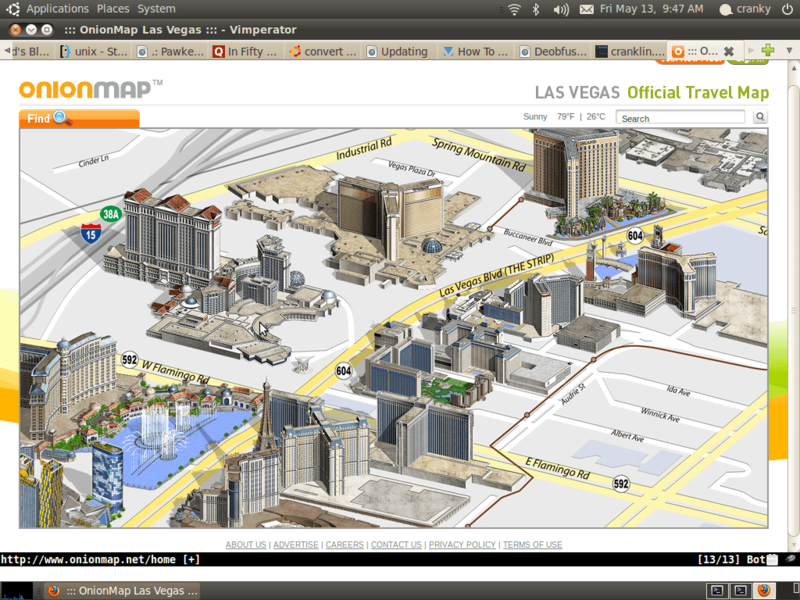 Onionmap was actually pretty cool. They provided interactive maps of major cities (33 to be exact). Unlike google maps, they were 3 dimensional visual/artistic renderings representing the city and its major landmarks. In other words, they’re tourist maps. The maps are skewed, exaggerated while landmarks are enlarged and unsightly objects such as parking lots are non-existant. Prior to my arrival, Onionmap hired many different engineers. Besides talking a big game at meetings, they provided no real work (sort of like politicians). Meeting after meeting, they would sweet-talk everyone else into confidence. At the end of the day, they did absolutely nothing. Another thing these previous “engineers” had in common was that they all believed that it was impossible to geocode the skewed maps. In other words, these maps could never be used with GPS data nor pinpoint exact addresses. When I joined the Onionmap team, I was obsessed with geocoding these maps. 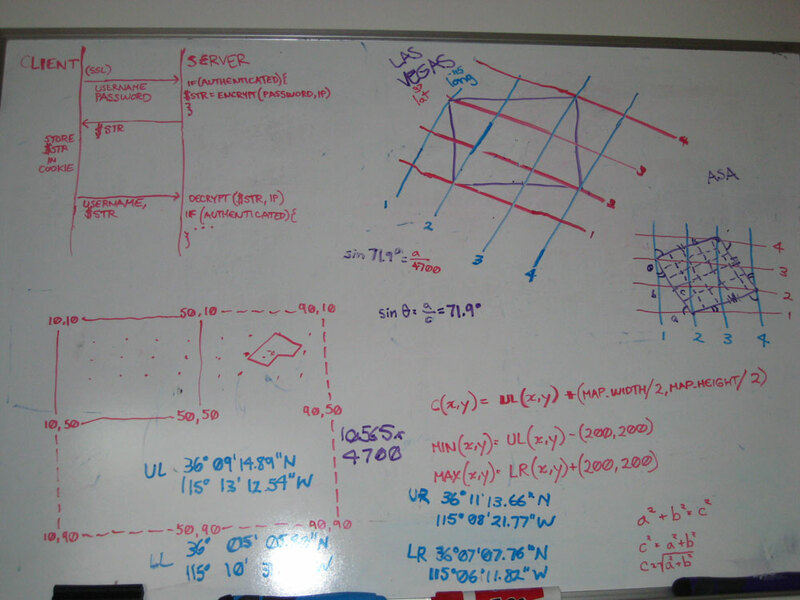 A couple months into it, I’ve tested out several different theories… Pulled out my old trigonometry books… Tried all sorts of weird things with angle measurements, etc. They weren’t working. I cleared my head and tried to think simple. I truly believe true engineering is about simplicity. I realized I was onto something with y-intercepts. Yes… going way back in Math. Then I got it. Before the 3rd month of my employment, I had figured it out and wrote the engine. I presented it to the company and they asked me to do a write-up immediately so they can file it for patent. Patent? Okay. You’ll notice the inventors are listed as me, Jonathan Lee (my cool project manager), and a guy named Young Kim. Mind you, Young Kim is a douchebag that lives in Korea that did absolutely nothing to contribute to this. He’s a self proclaimed “CTO”, but he has absolutely NO knowledge of anything remotely technical. Because of this guy, I wasted MUCH time building onionmap versions 1,2,3,4,5,6,7. No joke. Two years of working at Onionmap, I built 7 different versions of the site and NONE of it was released. That’s how you demoralize your engineer. Just saying. Anyways, here is the write-up submitted for patent.